The origin of whaling in the South Seas goes back to 1904 on the island of South Georgia, however, to fully understand how the whaling activity in Antarctic waters began, it’s necessary to dive deeper. Antarctica was discovered in 1819 when English merchant William Smith sighted the islands that nowadays are known as the South Shetlands. When Smith was rounding Cape Horn, he was forced to push south to avoid a ferocious storm when he sighted the group of islands. His reports of the abundance of seals soon attracted a legion of sealers, mainly from the United States and England, wanting to make a fortune from their pelts and fur. In less than five years they nearly depleted the entire seal population. In the following decades, Antarctica was visited mainly for commercial gain, and all that was explored was directly related to finding new hunting grounds. John Biscoe, D’Urville, Wilkes, and James Clark Ross are examples of explorers whose aim escaped the strictly commercial. Ross, who had discovered the North Magnetic Pole in the Arctic and who wanted to find the South Magnetic Pole, sailed for the first time the sea that today bears his name – an area that would play a key role in the exploration of Antarctica. From the Ross Sea, other explorers would depart overland to try and reach the South Geographical Pole. 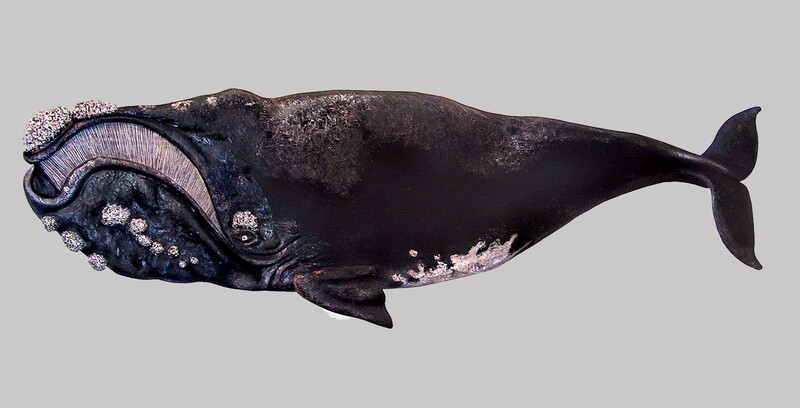 After his voyage, Ross reported numerous right whales, which were the most sought after by the whalers of the Northern Hemisphere as they were slow, blubbery, and floated once harpooned and dead – they were the ‘right’ whale to hunt with the technology that existed at the time. This was until the Norwegian Svend Foyn invented the grenade harpoon in the second half of the nineteenth century, and mounted it on the bows of small and speedy steam ships. The whalers would be able to achieve enough speed to chase, and catch, the fastest whales: the blue, sei, fin, humpback and minke whales. This technology, though, would not be brought to the South Seas until the beginning of the twentieth century. The decay of the whale stocks in the Northern Hemisphere forced many whalers to set their eyes to the Southern Hemisphere – one of them being Edouard Dallmann from Germany who inaugurated the steam ship era in the Antarctic Peninsula while searching for right whales. He didn’t find the abundance of right whales that Ross had reported and devoted himself to make important geographical discoveries instead. 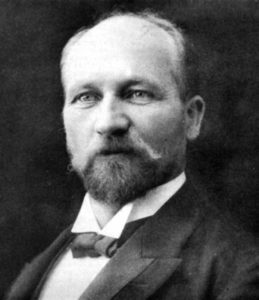 In 1892, the Norwegian captain Carl Anton Larson was also struggling in his search for right whales in the Southern Hempisphere. He knew about the new technologies developed by Foyn in Norway so he turned to collecting priceless information relating to the areas frequented by the faster whales. He also made some scientific discoveries that would motivate Swedish geologist Otto Nordensjöld to hire Larsen as captain of his ship, the Antarctic. 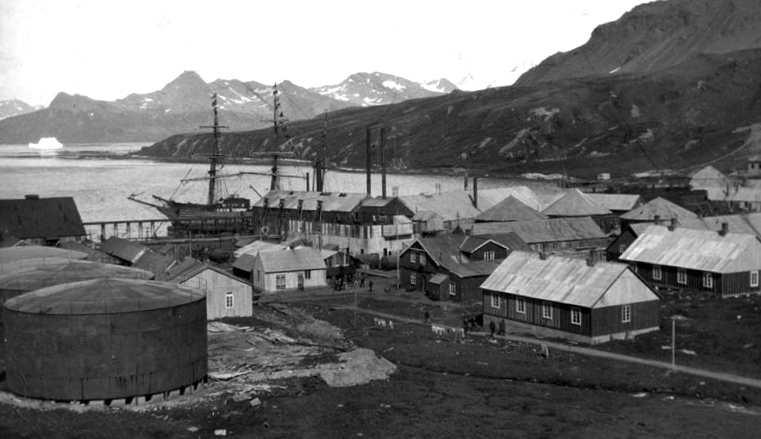 During this expedition, Larsen would discover Grytviken, in South Georgia, a natural haven well protected with an abundance of fresh water – perfect for establishing a land-based whaling factory. On returning to Buenos Aires, Larsen stayed to convince local investors to finance the first whaling factory in Antarctic waters, and the Compañía Argentina de Pesca (Argentine Fishing Company) was born. The capital was Argentine and the working force Norwegian. The place chosen to operate was Grytviken. Due to the major success of Larsen’s initiative, other stations would be set in South Georgia, as well as whaling factory ships sent to operate not only on that island but also in safe havens on the Antarctic Peninsula. The whaling era in Antarctica had begun, during which the blue ocean would become red.